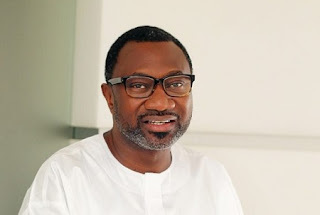 The renown oil magnate, Chief Femi Otedola has reportedly picked the governorship nomination form of the Peoples Democratic Party, PDP of Lagos State. Femi is the son to a former Lagos State Governor, Late Chief Micheal Otedola. Media Mogul, Dele Momodu, made the disclosure that billionaire businessman, Femi Otedola has accepted to run for the Lagos State governorship election under the platform of the Peoples Democratic Party. Momodu disclosed this on Tuesday in a post on his Twitter page. The media mogul confirmed that Otedola has accepted the ticket and would be running in 2019 against Governor Akinwunmi Ambode and other aspirants. Meanwhile, Governor Ambode’s quest to be re-elected as Lagos State Governor for a second term may be facing some major obstacle as over 50 council chairmen loyal to Ahmed Bola Tinubu, Ambode’s estranged godfather met and pledged their support for Jide Sanyaolu Sanwonolu, who is believed to be Tinubu’s preferred choice.